I'm looking for a luxury SUV or sport wagon. Load capacity isn't critical but leg and head room are. I only drive about 6000 miles per year so gas mileage isn"t important. I'd like something that has style and performance. I'm not impressed with anything BMW for multiple reasons. I like the VW Toureg diesel but the styling is a bit boring and the reliability? Acura RDX is the right size but so boring. Volvo V60 is beautiful but it may be too tight for the driver. I LOVE the looks of the Range Rover Evoque. It's the perfect style and size but when I drove an early model I thought the engine was noisy, the transmission abrupt and the throttle tip-in was too quick. I have not tried the current model with the new transmission (Michael?). With the Volvo, so you mean the XC60? 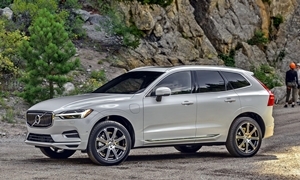 The V60 is a compact wagon, while the XC60 is a related crossover. My wife LOVES the XC60. Reliability has been good for the 2013, but iffy for older ones. If you're driving only 6k/year, but the vehicle doesn't actually sit for extended periods of time, you will be less likely to have problems. I haven't driven an Evoque with the new transmission, but agree that the older one I drove seemed lacking in refinement. Pretty, but expensive for what you get. 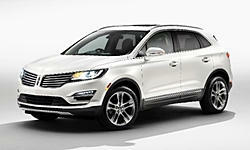 I've yet to drive the new Lincoln MKC, which is based on the Escape. 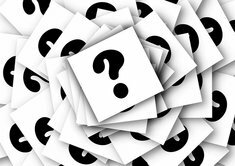 It's all-new, so reliability is unknown. But you might like how it looks and drives (has some similarities to the Volvo and RR aesthetics), so probably worth considering. Lexus also has a new compact crossover, the NX. I don't care for the styling at all, and have not yet driven it. But tastes differ, so I thought I'd throw it out there. If you find the Touareg boring, you'd probably also find the Audi Q5 boring, though it's interior is a little nicer. And you didn't mention the Mercedes GLK, so I imagine you find its styling unappealing. Thanks for the response Michael. I was thinking of the Volvo V60 sport wagon. My desire is for some extra space and utility over that of a sedan. My issue with most vehicles is front seat leg room and elbow room. Your comments on vehicle specs are right on; I find a vehicle with adequate legroom will often have my side view obscured by the B-pillar. My F-150 has lots of room, but drives like a truck (duh!). Surprisingly, my Mini Coupe has adequate room for me, but little else. I like the GLK but too tight for the driver. Maybe the ML. 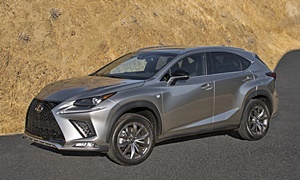 Agree with you about the Lexus styling; what are they thinking? I want to see the 2015 Ford Edge; nice looking and the right size. I appreciate your views. The new Edge could be good. I know nothing about it at the moment. There's also a new Nissan Murano, but Nissan's latest transmission has been troublesome.